Minister of Foreign Affairs Jean Asselborn met with MPs on Monday morning to brief them on immigration statistics in 2018. Afterwards, he presented his report to the press. Broadly, Asselborn explained, the phenomenon of migrants arriving via the Mediterranean is one that is falling in numbers in the entire European Union, including Luxembourg. As a contrast, secondary migration, which consists of asylum seekers arriving in Italy and coming to Luxembourg, has risen over the last few months. In total, there were 2,200 asylum requests in 2018. The number fell by 120 compared to the previous year. However, Asselborn explained, if you include the number of migrants relocated from Malta as well as spontaneous requests, there has been a net rise of 220 compared to 2017. 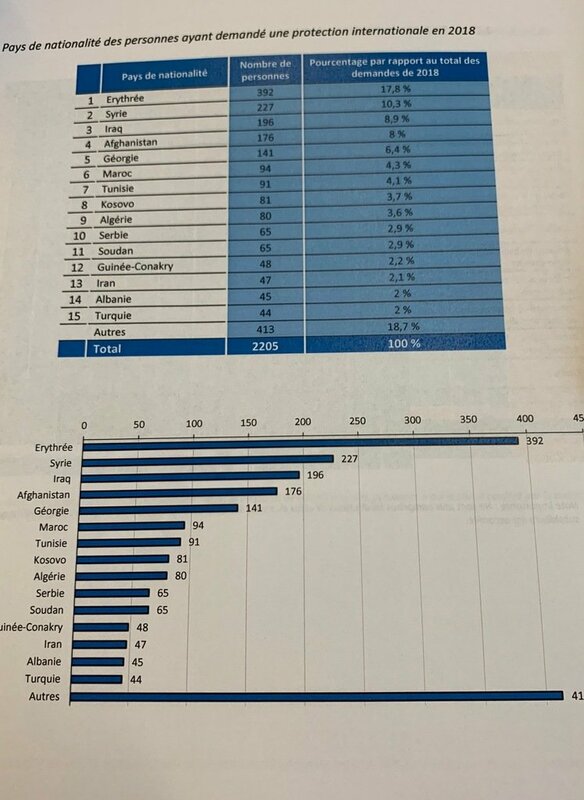 As the minister explained, the majority of asylum requests come from residents of Eritrea, Syria, Iraq, and Afghanistan. As a further breakdown of the asylum requests, Asselborn explained that requests came from nationals from 65 different countries. Of all of these asylum seekers, approximately a third were minors, a third women, and a third were men. In 2018, 36 unaccompanied minors sought asylum in Luxembourg. As for the first month of 2019, there were 226 asylum requests. Asselborn explained that if this trend continues at the pace seen in January, then by the end of 2019, there will likely be more asylum requests than ever. 81 of those asylum seekers originate from Eritrea, of which 80% are so-called Dubliners. An asylum request remains different to being granted the status of refugee. In 2018, 980 individuals received refugee status, which is 200 fewer than 2017. 360 asylum seekers had their applications denied. Of those received by OLAI, the Luxembourg Reception and Integration Agency, 50% were granted refugee status, 10% were rejected, and 40% are still being reviewed. Asselborn explained that the next step is to move the 50% from the government's structures. In 2018, 36 non-accompanied minors arrived in Luxembourg to request asylum, down from 50 in 2017. In previous years, there have been discussions on how to determine if someone is under 18 years old or not. The government has made it clear that genital examinations are not necessary to determine age. Instead, an X-ray of the individual's left hand, shoulder blades, and teeth should suffice. Those in the Ministry of Foreign Affairs charged with immigration services have concluded that the age of unaccompanied minors is steadily falling. Last year, both a four-year-old and a ten-year-old applied for international protection. Asselborn expressed his reluctance to generalise, but explained that immigration services had had issues with one particular nationality, the Georgians. The authorities had observed that those who arrive in Luxembourg are active in organised crime, particularly the drugs and weapons trade. Before the press conference, Asselborn discussed migration and asylum with members of the parliamentary commission on foreign affairs. In that meeting, he explained that reception structures are reaching their limits, as those granted refugee status are struggling to find accommodation. According to the coalition agreement, OLAI will split as of 1 May. The Ministry of Family Affairs and Integration will be in charge of integration, and reception will fall under the Immigration Ministry's duties. OLAI will be renamed ONA. According to ADR MPs, Asselborn is experiencing the shattered glass of his own policies. 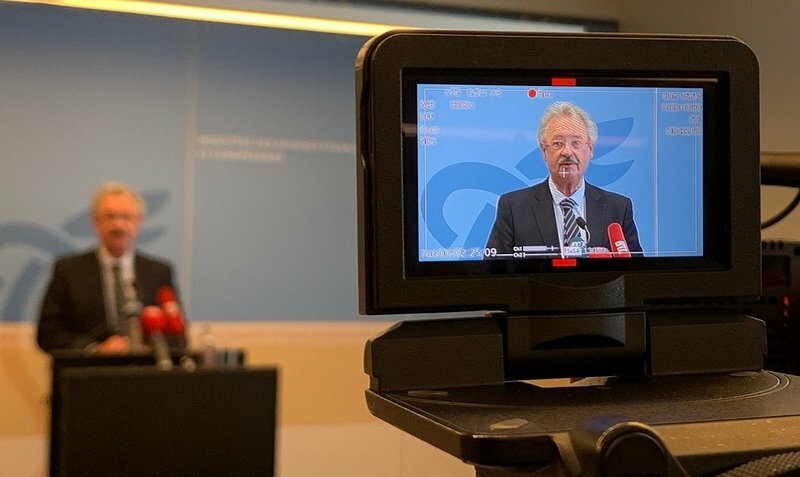 According to MP Fernand Kartheiser, Asselborn's "Merde alors" exclamation against Matteo Salvini had led to asylum seekers to come to Luxembourg. The Left MP David Wagner expressed his opinion that a number of governments within the EU, not only the Italian one, are instrumentalising migration to distract citizens from real socio-economic issues. In this, he reiterated that refugees are not the cause of these issues. All parties shared the observation that there is no solidarity within Europe concerning the migration crisis. But a specific solution, such as a reform of the Dublin Regulation, was not mentioned on Monday morning. The regulation states that asylum seekers must request asylum in their country of arrival, which in turn causes a disproportionate number of asylum seekers in Mediterranean countries.